This is the third profile in a new Intel Small Business Series focusing on Small Business owners and how they are reacting to the demands and opportunities presented by emergent technology. Jenelle Isaacson is founder and owner of Living Room Realty, a forward-thinking real estate agency founded in 2008 that specializes in the urban neighborhoods of Portland, Oregon. In 2013, Living Room Realty became the first real estate company on the west coast to meet rigorous B Corp standards. These requirements take into consideration a company’s commitment to its workers, the community, and the environment. One of the things that helped Living Room become a Certified B Corporation was their decision to go completely paperless. The decision to ditch paper can be a tricky one, but it has benefits beyond saving trees. Rather than carrying around bulky binders full of listings, the company has started using tablets to showcase their properties. Additionally, the tablets double as slick platforms for sales and marketing presentations to prospective clients. In addition to utilizing tablets and adopting a mobility strategy, Living Room has migrated the majority of their business to the cloud. By moving to a model that allows agents to collaborate on projects and documents from anywhere, Isaacson has been able to create a working environment that makes her employees feel comfortable and empowered. While the transition to a future-forward office environment has had a huge impact on the way Living Room Realty works, it’s not always easy being a pioneer. Isaacson reports that the biggest hurdle they’re encountering right now is waiting for the rest of the industry to catch up. Dated legal compliance structures can cause difficulties for brokers who are used to reviewing actual paperwork rather than snappier, digital forms. While Isaacson and Living Room wait for the rest of the real estate industry to catch up, they have put themselves in a comfortable position. Isaacson says that her agents feel more secure than ever now that sensitive papers are not lying around on desks for anyone to see. The result has been an increased atmosphere of trust among the employees, part of the value set Isaacson set out to create for Living Room Realty. Through the adoption of technology, Living Room Realty has been able to morph from their office into an open, collaborative environment while maintaining small physical and environmental footprints. To learn more about how Intel is a resource for small businesses as they continue to grow visit: www.intel.com/smallbusiness. 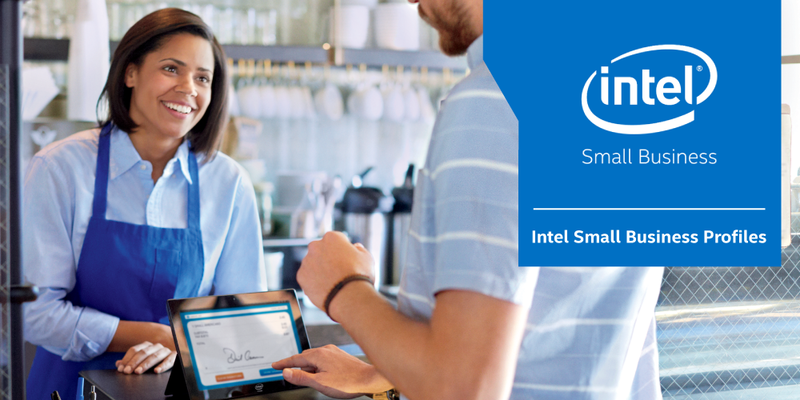 You can also continue the conversation and stay up to date on the latest Intel Small Business profile by following us at @EmpowerSmallbiz or use #IntelSmallBiz.